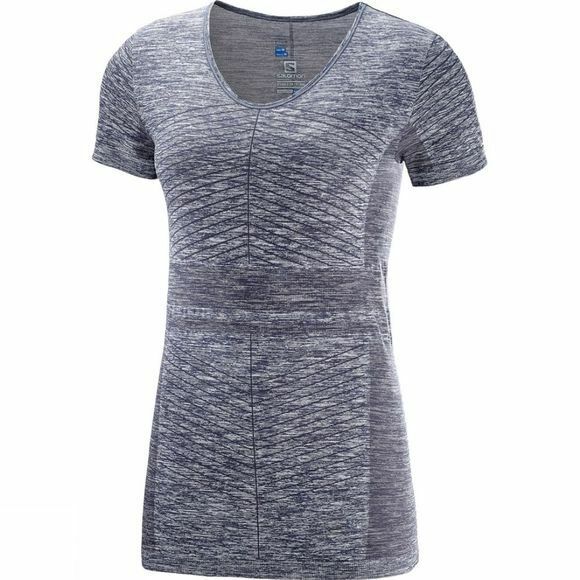 The Womens Elevate Move On Short Sleeve Tee from Salomon is low-key but sporty, it moves easily from a run to fun with friends. Textured heathered fabric combines complementary colors that blend with items in your wardrobe. A top that always looks good and wears well.